CosmiCat and the gang will be making an appearance in the Auburn Hills campus of Baker College on October 24th. 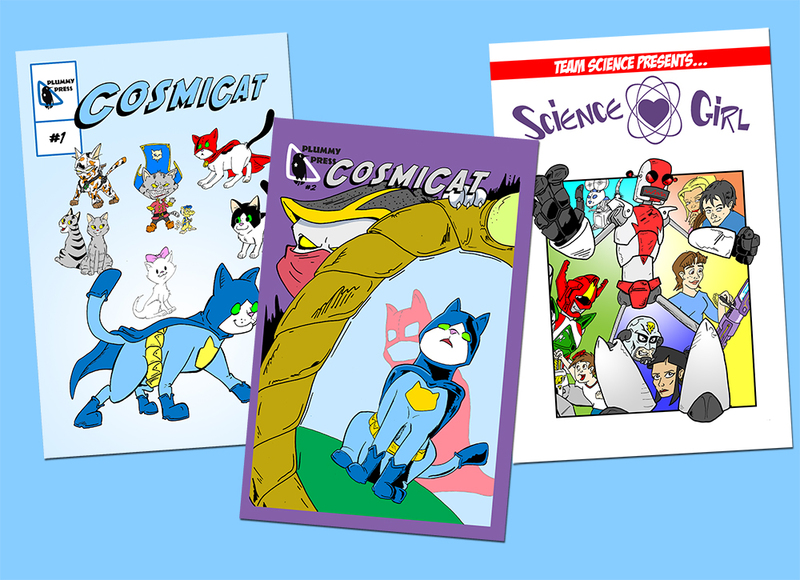 We’ll be selling copies of CosmiCat and Science Girl, with a portion of the sales going to benefit the Animation Club. https://www.facebook.com/groups/170600792951303 Hey, does this mean that these comics count as textbooks?